My iPhone Won't Play YouTube Videos. Here's Why & The Fix! You are at:Home»iPhone»Apps»My iPhone Won’t Play YouTube Videos! Here’s Why & The Fix. You were going to watch a YouTube video on your iPhone, but it won’t load. It’s incredibly frustrating when YouTube isn’t working on your iPhone, especially if you’re trying to show a funny video to your friend or listen to a music video at the gym. In this article, I’ll explain why your iPhone won’t play YouTube videos and explain how to fix the problem for good. YouTube Is Not Working On My iPhone: Here’s The Fix! Before going any further, try turning your iPhone off and back on again. Rebooting your iPhone gives it a fresh start and has the potential to fix minor software issues, which could be the reason why your iPhone won’t play YouTube videos. To turn off your iPhone, press and hold the power button (which is also known as the Sleep/Wake button). A red power icon and “Slide to power off” will appear on the display of your iPhone. Swipe the red power icon from left to right to turn off your iPhone. Wait about half a minute before turning your iPhone back on, just to make sure it has the opportunity to completely shut down. If you rebooted your iPhone but YouTube still isn’t working, the next step is to troubleshoot a potential problem being caused by the app you’re using to watch YouTube. There are lots of free and paid apps you can use to watch YouTube videos on your iPhone, none of which are perfect. When something goes wrong, you aren’t able to watch your favorite YouTube videos. To determine if your YouTube app is causing the problem, we’ll begin by closing and reopening it. This will give the app a “do-over” in case something went wrong when it was opened the first time. To close your YouTube app, start by double-pressing the Home button. This will open the App Switcher, which allows you to see every app currently open on your iPhone. Swipe up your YouTube app off the screen to close it. Check For Updates: Is There An Update Available For The YouTube App? If Youtube still won’t play videos, check to make sure you’ve updated your YouTube app to its most recent version. Developers update their apps all the time to add new features and patch up software bugs. To see if there’s an update available for your YouTube app, open the App Store. In the bottom right-hand corner of your iPhone’s display, tap Updates. If an update is available, tap the blue Update button next to the app. If there’s a more complicated software issue with your preferred YouTube app, you may need to delete and reinstall the app. When you uninstall the app, all of the software and settings from that app will be erased from your iPhone. When the app is reinstalled, it will be as if you downloaded it for the first time. 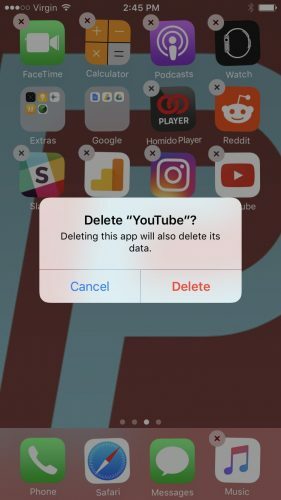 Don’t worry — your YouTube account will not be deleted when you uninstall the app. If you’re using a paid YouTube app such as ProTube, you’ll be able to reinstall it for free as long as you are logged into the same Apple ID you used when you bought the app originally. 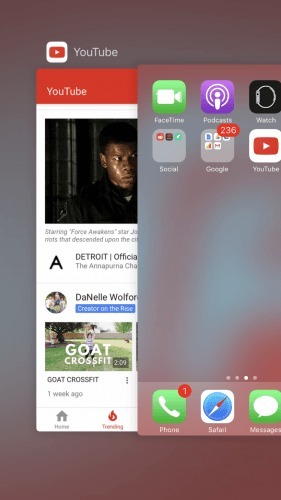 To uninstall the app, begin by lightly pressing and holding the icon of your YouTube app — if you press too hard, you’ll activate 3D Touch if you have iOS 9 or 10 installed on your iPhone. Your apps will begin to “jiggle” and Xs will appear in the upper left-hand corner of every app. Tap the X on your YouTube app, then press Delete to uninstall the app. To reinstall the app, go to the App Store. Tap the Search tab at the bottom of your iPhone’s display and type in the name of your preferred YouTube app. Tap Get, then Install next to your preferred YouTube app to reinstall it on your iPhone. Many people use Wi-Fi to watch YouTube videos on their iPhone, and it’s not uncommon for connectivity issues to be the reason why YouTube videos won’t play on your iPhone. 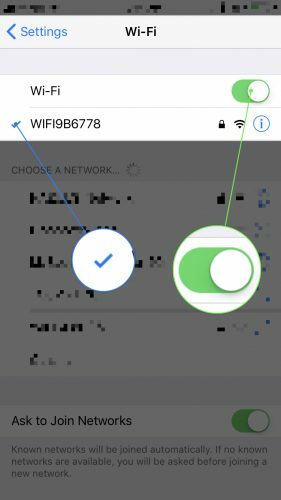 If the problem is being caused your iPhone’s connection to Wi-Fi, we need to figure out whether it’s a software or hardware issue. Let’s quickly address the hardware: a small antenna is the hardware component of your iPhone that’s responsible for connecting to Wi-Fi. This antenna also helps your iPhone connect to Bluetooth devices, so if your iPhone has been experiencing Wi-Fi and Bluetooth issues at the same time, there may be a problem with the antenna. However, we can’t be sure if there’s a hardware issue, so follow software troubleshooting steps below! First, we’ll try turning Wi-Fi off and back on. Like turning your iPhone off and back on, turning Wi-Fi off and back on may resolve a minor software bug which could be causing a bad Wi-Fi connection. To turn Wi-Fi off and back on, open the Settings app and tap Wi-Fi. Next, tap the switch next to Wi-Fi to turn Wi-Fi off. You’ll know Wi-Fi is off when the switch is gray. Wait a few seconds before tapping the switch again to turn Wi-Fi back on. If your iPhone still won’t play YouTube videos, try connecting to a different Wi-Fi network if you can. If YouTube works on one Wi-Fi network but not the other, then there’s probably a problem with the malfunctioning Wi-Fi network, not your iPhone. Before moving onto the final troubleshooting, take a quick peek at the status of YouTube’s servers. Occasionally, their servers will crash or be undergoing routine maintenance, which may prevent you from watching videos. Check the status of YouTube’s servers and see if they’re up and running. If lots of other people are reporting problems, then the servers are probably down! When you reset network settings, all of Wi-Fi, Bluetooth, and VPN (Virtual Private Network) settings will be erased and reset. 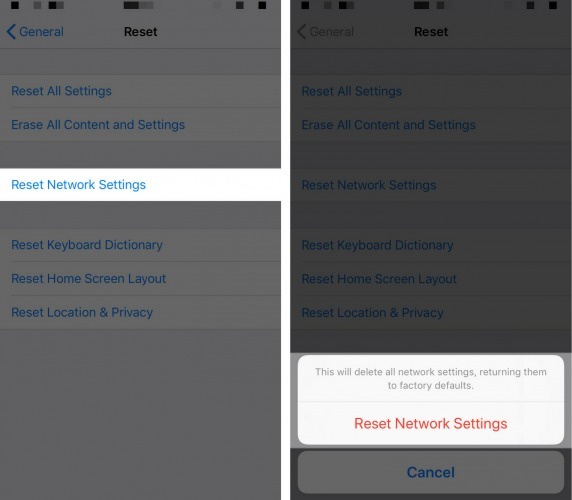 It can be tough to track down the exact cause of a software problem, so rather than track it down, we’re going to erase and reset all of your iPhone’s network settings. Remember: Before reseting your iPhone’s network settings, make sure you write down all of your Wi-Fi passwords! You’ll have you reenter them once the reset is complete. To reset network settings, begin by opening the Settings app. Tap General -> Reset -> Reset Network Settings. You’ll be prompted to enter your passcode, then confirm that you want to reset your iPhone’s network settings. Your iPhone will reboot once the reset is complete. YouTube Is Working On Your iPhone! YouTube is working on your iPhone and you’re able to watch your favorite videos once again. 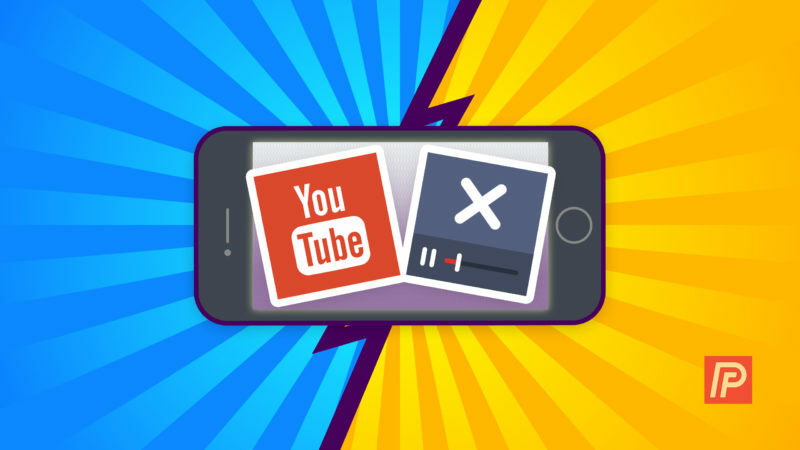 Make sure to share this article on social media so your friends and family know what to do when their iPhone won’t play YouTube videos. Thanks for reading this article, and leave a comment down below if you’d like to ask us any other questions about your iPhone! Previous ArticleCan An iPhone Get a Virus? Here’s The Truth! Next Article How Do I Restart An iPhone Without The Power Button? The Fix!